An interlinked set of hoop earrings, crafted in sterling silver and featuring diamonds for a more different way to accessorise. 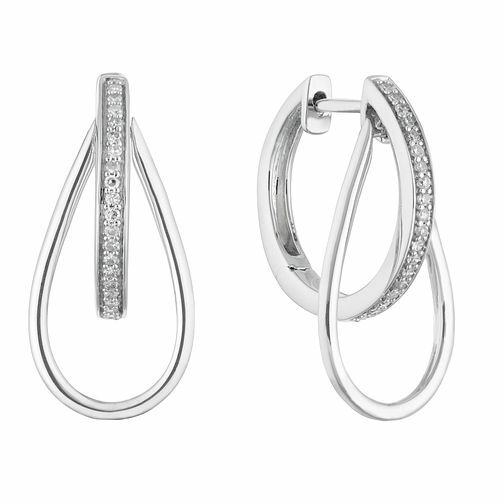 Sterling Silver Diamond Hoop Earrings is rated 4.0 out of 5 by 1. Rated 4 out of 5 by Anonymous from This product is very individual with respect to its shape Great product and fantastic quality. The only negative would be that the pictures online make the diamonds look bigger than they appear in person.